We have experienced this. 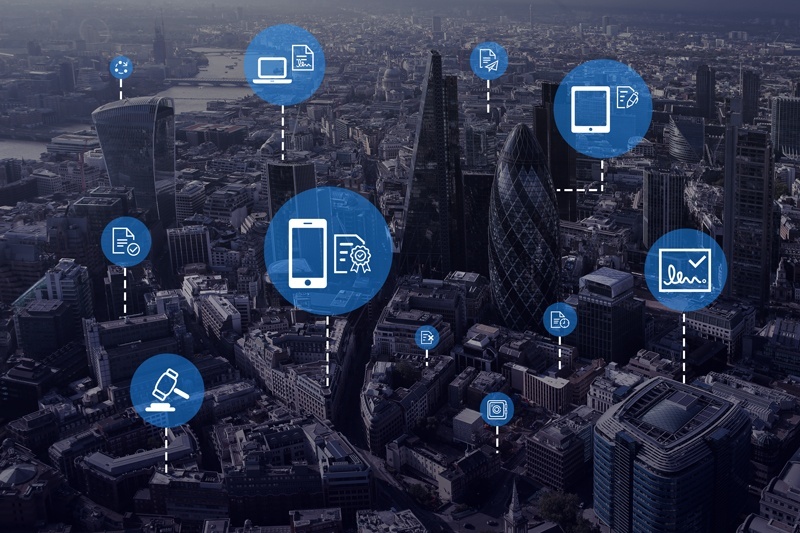 Enterprises are increasingly seeing e-signatures as vital to the digital evolution of their businesses and at the same time a crucial component to meeting their transaction workflow and e-trust requirements. What’s interesting about the findings is that whilst business metrics are important and make a strong business case – take an 85% improvement in productivity as one example, or the 22,000 staff hours another enterprise saved annually - Forrester made it equally clear that for many enterprises, it’s the impact of e-signature technology on customers that is most important. A hotel group interviewed for the report concluded that paper documents simply sent the wrong message to customers in our digital age. We understand and share this perspective. In the financial industry, for example, the efficiency and speed with which enterprises interact with their customers over insurance documents or complex contracts can make or break a long-term relationship. Avoiding time delays and inaccuracies is enhanced through e-signatures, and it vastly reduces the costs associated with traditional paper based processes. That said, in the new age of electronic e-signature and verification, there are standards that need to be met and these differ from industry to industry and even across international borders. Here in Europe, financial services and legal firms, in particular, must be wary of open source toolkits, simple service models or limited function products. These may not offer full support for standards, adequate security management or the flexibility that is needed to ensure they are supported by qualified trust service providers. This was one of the issues highlighted in the report. The report pointed out the difference between the US and Europe when it comes to authentication. The US predominantly opts for simpler e-signature authentication, with no requirement for qualified signatures using a certificate issued by a trusted service provider. Organisations in the EU conversely, place a higher priority on authentication, with many relying on qualified trust service providers to manage their risk and outsource identification and certificate management exposure. 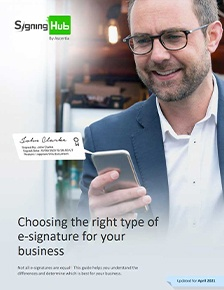 Enterprises are realising that there is more to creating digital signatures than they may have originally envisaged, including verification, trust anchor management, time-stamping, archiving and real-time certificate validation, and each of these is based on accepted industry standards. In the broader context of digital transformation, each of these processes delivers long-term workflow improvements and a high degree of protection to enterprises. This, according to the Forrester report, is where European e-signature providers like Ascertia are proving successful. And what of the future? Unsurprisingly, Forrester sees better mobile support as one of the driving forces looking ahead. Approximately 30% of all agreements are currently opened from a mobile web browser, but much fewer of these agreements are signed on mobile when compared to contracts opened on a tablet or PC. We see the huge benefits of having web apps send signing requests to a user’s mobile. We are actively involved in the mobile signature space, and already offer our enterprise customers a complete mobile signing platform. This is not the future, this is the here and now. Find out more here.